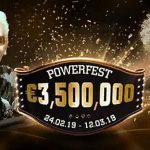 Party Poker´s May PowerFest series will be guaranteed for $20 million and going head-to-head with PokerStars´ SCOOP during the second and third weeks of May. What started life three years ago as a relatively minor tournament series is barely recognisable. 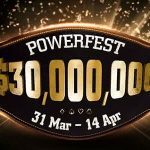 Since the first PokerFest series in March 2014, the series guarantees have grown from $2 million to $20 million and, now rebranded as PowerFest, the number of events has more than tripled. This May´s PowerFest series will have more than three hundred events crammed into fifteen days of action between May 7th and May 21st. 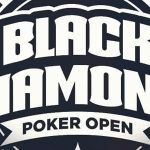 Eight of the events will have guaranteed prize pools of $1 million or more, including a very special Super High Rollers event with a buy-in of $25,500. It is an indication of the success of the series that Party Poker has chosen the two weeks of PokerStars´ SCOOP to go head-to-head with the world´s largest online poker site. Bravado like this has paid off previously in the past. Will it work again? We shall have until May and see! 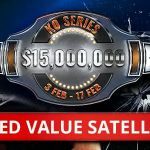 Although the full schedule of events has not yet been released, buy-ins for Featherweight PowerFest events will remain at $5.50 and $11.00, plus players will be able to qualify for more valuable events via a comprehensive range of satellites, including the site´s famous “Centroll” qualifying program. Going up the divisions, Middleweight PowerFest events will retain their buy-in range of $22.00 to $55.00, while the Heavyweight events will be in the buy-in range of $109.00 to $215.00. High Roller events will start with buy-ins of $530 and go up to the $25,500 buy-in Super High Roller event. Featherweight Main Event – Buy-in $11.00 – Prize Pool Guarantee $50,000. Middleweight Main Event – Buy-in $55.00 – Prize Pool Guarantee $100,000. Heavyweight Main Event – Buy-in $215.00 – Prize Pool Guarantee $1,000,000. High Roller Main Event – Buy-in $1,050 – Prize Pool Guarantee $1,000,000. Undoubtedly, the headline event of the series is the $25,500 buy-in Super High Rollers on Tuesday May 16th. This event is guaranteed for $2,000,000, and the $500 entry fees will be donated by Party Poker to the charity of the winner´s choice. Party Poker has added that if the event attracts more than one hundred entrants, the site will add $50,000 to the charitable donation. Of the remaining five million dollar guaranteed events, two will be multi-phase tournaments (a total of eight multi-phase tournaments are planned for the series. Two other will be Heavyweight “Title Fight” events on the opening and second Sundays of the series, while a $1,000,000 guaranteed High Roller event is planned for what is going to be a very valuable final day of the series on May 21st. 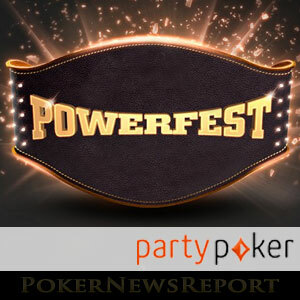 I will be playing more online events than ever in this new edition of PowerFest on Party Poker. The addition of the $25K Super High Roller is great and it’s a really nice touch from Party Poker to donate all fees to charity. Earlier this week, we mentioned that Party Poker currently has twenty different promotions featured on its promotion page (make that twenty-one now) and, no matter what your bankroll, there is something for everyone included in the fantastic opportunities for players at Party Poker. One promotion not mentioned on the site is the Party Poker bonus for new players. This is a generous 100% match on first deposits up to $500 and not directly available through the site. To find out more about the first deposit bonus, and how easy it is to redeem, visit our Party Poker review or head straight over to the site now to start qualifying early for Party Poker´s May PowerFest series.